Tehran(ANN)-The spokesman of Iran’s Foreign Ministry says Saudi Crown Prince Mohammad bin Salman is a “delusional naive person,” who has no idea of politics apart from bitter talk that emanates from lack of foresight. 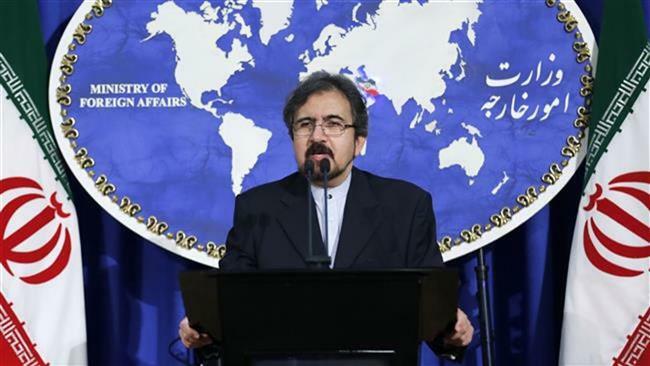 Bahram Qassemi made the comments on Thursday in reaction to Bin Salman’s remarks in an interview with the CBS news channel in which he said Saudi Arabia would take quick steps to develop nuclear bombs if Iran does so. “His remarks do not deserve a response, because he is a delusional naive person, who never talks, but with lies and bitterness and has no idea of politics, but to use untimely strong words due to lack of foresight,” Qassemi noted. Therefore, he added, Iran invites all regional countries, especially some ill-wishers and obstinate enemies to dialogue and tolerance on the basis of the rationality that emanates from its culture and ancient civilization and with an eye to expediencies of the Islamic world in order to promote peace, stability and security in the region and the world. Referring to that part of Bin Salman’s remarks about Iran’s army not being among the top five armies in the Muslim world, the Iranian spokesman said a country, which has been laying siege to defenseless people of Yemen for more than three years and has come to its knees as a result of Yemenis’ resistance better not talk about the size of its army and economy, continue to spend its people’s money on buying “beautiful weapons” and remain importer of security, and be silent in the face of a powerful country like Iran. By “beautiful” weapons, Qassemi was referring to US President Donald Trump’s comments last June, when he said prior to his talks with the Qatari emir that their discussions would focus on “the purchase of lots of beautiful military equipment,” just after concluding a deal with the Saudis for $110 billion in weaponry.